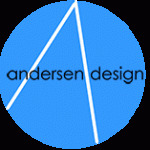 The Andersen Design Stoneware River Otter by Christine Andersen Tupper is a sensuous form spiraling into an upward gaze. 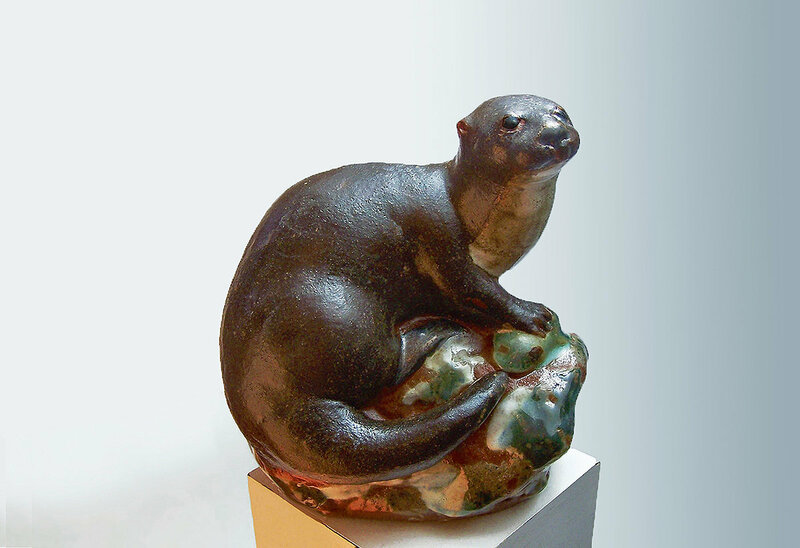 The River Otter is slip cast in red clay and finished in our brown decorating slip. The rock is a pattern of red brown stoneware and white and green glaze. The River Otter is six inches tall. All handmade in the USA.